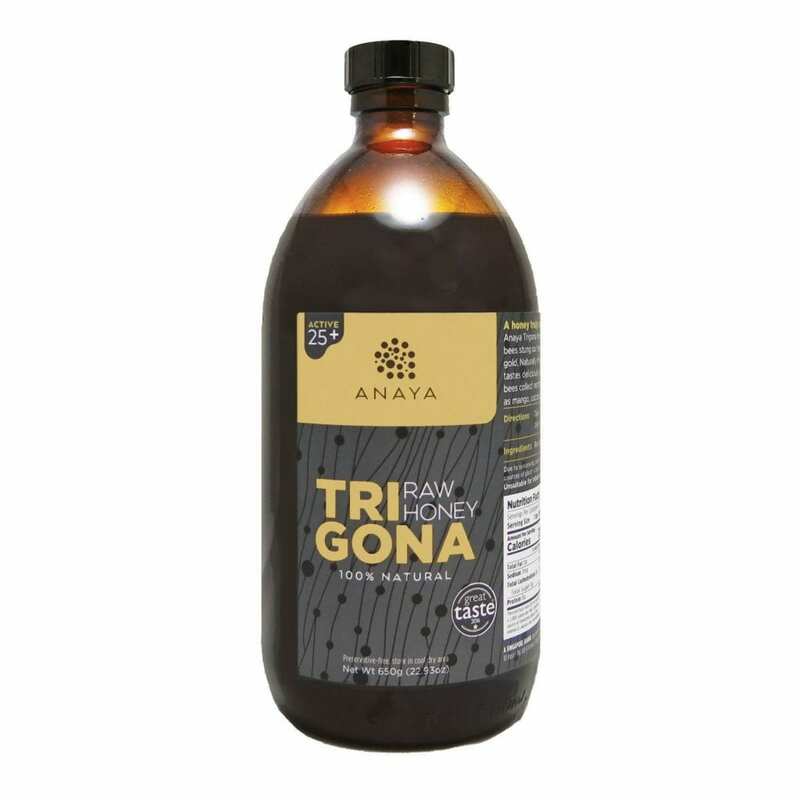 Anaya Trigona honey is truly unlike any other honey. It is harvested only in limited quantities each year from tiny stingless bees that collect nectar from a wide variety of plants and herbs. Our Trigona honey only contains 17% sugar levels and has been tested to kill 83% of bad bacteria equivalent to a UMF25+. IIt also contains a high level of pollen and propolis to make this the most healing natural food, and giving it its unique sweet-sour flavor and fluid texture.